The headline in the December 11, 1967 edition of the Los Angeles Times simply stated, “Pop Singer, 6 Others Lost In Plane Crash.” The obituary continued with “a twin-engine plane carrying Memphis Tennessee recording star Otis Redding and seven others, crashed in fog-shrouded Lake Morona (near Madison, Wisconsin) Sunday, apparently killing all but one.” Newspapers across the nation that day told the story of the death of one of music’s greatest soul singers. This is the story of how he lived. 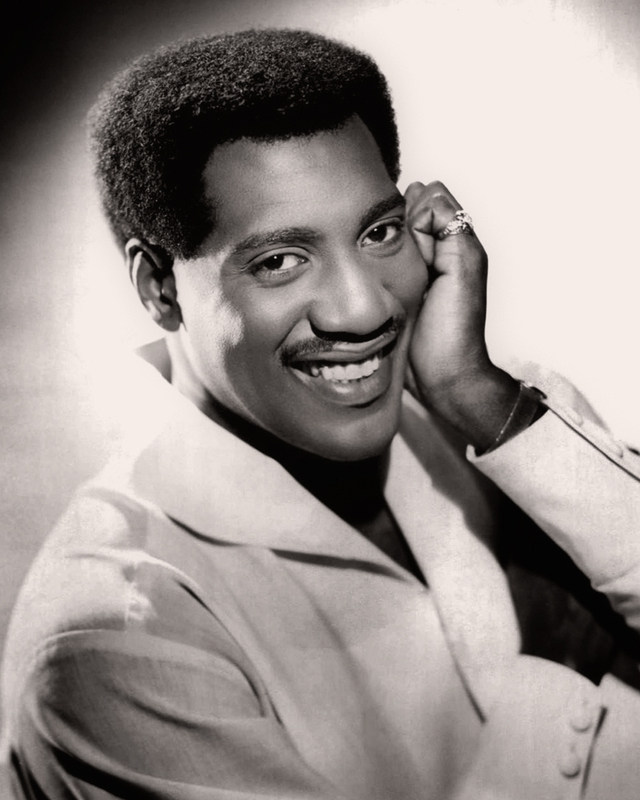 Born in Dawson, Georgia on September 9, 1941, his family moved to Macon when Otis was two years old. His first taste of music came when he sang in the church choir. By the time he entered high school, he already learned how to play both the guitar and piano. Singing in the school band and then singing gospel songs on a local radio station for $6 every Sunday, he knew he found his life’s passion. He quit school at age fifteen to support his family taking a job with Little Richard’s backing band, the Upsetters, before joining Johnny Jenkins band, the Pinetoppers, as a driver and a part-time singer. Redding’s life changed on a trip with Jenkins to the Stax Records studios in Memphis in 1962. Steve Cropper, producer and session guitarist for Stax remembered his first meeting with Redding. "There was this big guy driving the car, who pulls up, gets out, unlocks the trunk and starts pulling out amplifiers and microphones. I thought he was a roadie. During that session, Otis approached our drummer Al Jackson and said, ‘I'm a singer, and sometime, I'd like to get somebody to hear me sing. I was the designated A&R director at Stax at that time and Al told me, ‘The guy that's with Johnny says he sings with him and he'd like an audition. Can you take two or three minutes and listen to him?' And I said, ‘Well, yeah.’ We were just kind of cleaning up after the session. Most of the guys were leaving. They had night gigs in those days." Cropper’s recollection of the moment was just a bit different when he recently told the story to Anthony Mason of CBS This Morning. “He started singing These Arms of Mine. I just said, 'Stop.' He said, 'What, you don't like it?' I said, 'No, I love it. Just hold it right there, don't move.' I went running up to the control room to find Jim Stewart and said, 'Jim, you've gotta come down and hear this guy's voice. You're gonna die.' Cause the hairs stood up on my arm," Cropper said. 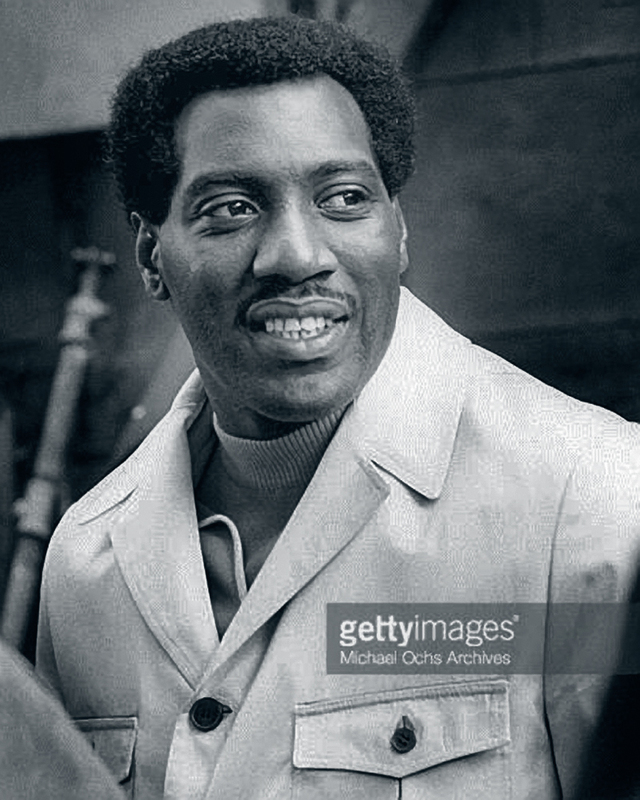 (3) With Louis Steinberg on bass, Al Jackson on drums, Johnny Jenkins on guitar and Steve Cropper on piano, Stax Records cut These Arms Of Mine, which was Otis Redding's first hit." What fans heard on record drove them to his concerts. Two tours of Europe in late 1966 and early 1967 solidified a following overseas. Stepping into the world of rock music, Otis booked a three-day successful stay at Hollywood’s Whiskey-A-Go-Go in the spring of 1966. That led to a late December run at the Fillmore West where legendary promoter Bill Graham would describe Redding’s show as “the best gig I ever put on in my entire life.” (5) The stage was set for the summer of love. Otis performing live in 1967. The Monterey Jazz Festival was held each September since 1958 at the Monterey Fairgrounds. In an effort to remain current for the 1966 effort, the show’s promoter, Ben Shapiro, booked a couple of local rock acts including the Jefferson Airplane. Thinking even larger for 1967, Shapiro added Big Brother And The Holding Company. Shapiro’s idea extended to the format of the festival—instead of five stages throughout the grounds during three days, a two-day event with one stage could draw around 100,000 people—five times more than just a jazz gala. With rock royalty of the day, John Phillips of the Mamas and the Papas and producer Lou Adler at the helm, rock groups around the world wanted to join the party. Sponsors lined to cover expenses with no artist receiving pay. They were in it to place their legacy in music history. Otis was invited but was lukewarm to the no-pay part of the event. Bill Graham, who contributed $100,000 to the kitty, convinced Redding of the value that the exposure could bring. The all-star cast on the first night was Simon And Garfunkel, Eric Burdon, Johnny Rivers, Lou Rawls and the Association. Janis Joplin, the Byrds, the Jefferson Airplane and Redding were scheduled for Saturday, the second night. Sunday featured the Grateful Dead, the Who, Buffalo Springfield, Ravi Shankar, Jimi Hendryx followed by the Mamas and the Papas. Other acts that would be added to the mix included Country Joe and the Fish, Quicksilver Messenger Service, Moby Grape and Canned Heat. An estimated 200,000 attended the three shows—100,000 on Saturday alone. Most, if not all, were chemically altered as the familiar aroma filtered through the crowd. The bands, sensing a bit of competition, took their shows to another level. The Who, upon hearing that Hendryx would set his guitar on fire, opted for an earlier slot rather than follow that act. Otis, though he had no competition, worried that his appearance would be a huge career mistake. Similar fears permeated through those who joined him, as Otis had no psychedelic shtick, light show or even pyrotechnics for this crowd. Instead, he took a few hits from a joint that helped him relax. Maybe a bit too much as Otis put in little preparation or thought into the show. When asked by his manager, Phil Walden what he would sing, Otis couldn’t tell him. He would do the show on pure feel. Walden, a realist, suggested he start with Shake. Then follow with a prayer. Otis was waiting his turn to take the stage at the Monterey Pop Festival on June 17, 1967. 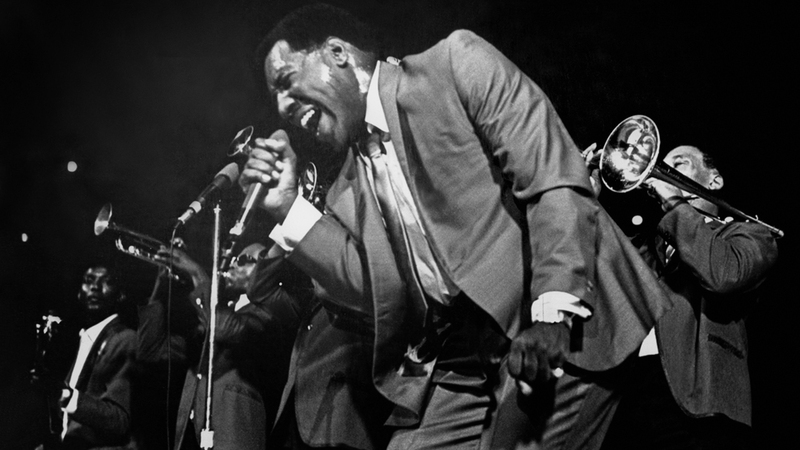 Introduced by Tommy Smothers, Otis hit the stage around 1:00 AM to a full array of Memphis Horns and the Mar-Keys, brought in for the occasion. Toying with the crowd with his call-and-response of his opening number, Redding blew through the song with a loud reception before segueing into Respect. Slowing the tempo with I’ve Been Loving You Too Long (To Stop Now), he brought the crowd back on their feet with an explosive rendition of Satisfaction. He finished the set in a climactic frenzy with Try A Little Tenderness. Even with this quantum leap in popularity, Otis still hadn’t found chart success on the pop side. Of his 19 entries, only 5 entered the top 30. (7) Neither the success of Monterey or entering the world of rock and roll would take him to what he believed was his rightful place of stardom. No, it would have to be the right song that would catapult him to #1. Phil Walden, who couldn’t have foreseen the impact of Redding at Monterrey, had him booked months ahead in venues around the Bay Area after the festival. The tour ended with a week-long stay in August at San Francisco’s Basin Street West nightclub owned by Bill Graham. Redding, who was experiencing some throat problems on this hectic schedule, needed some rest as the schedule caught up with him. Graham either offered or rented, depending on the source, his houseboat in Sausalito for the final week of the tour, which Redding and his road manager, Speedo Sims happily accepted. Indeed, Otis was changing with the times. After his success in Europe and especially at Monterrey, he knew he had the crossover appeal to all audiences. Entering the pop field meant settling on a different approach. No longer could he be the R&B singer relying on energy and emotion. For inspiration, he looked at his contemporaries in pop. Both Bob Dylan and The Beatles focused more on layering songs with lyrics and multi-tracking. That approach of more time in the studio and at home appealed to Otis. It also was contrary to the Stax philosophy of keeping him on the road. Once he returned home in late August, he played the rough cut of the song for his wife, Zelma. Not understanding his plans to plot a new career course with the song, she replied that she just couldn’t get into it. That caused Otis to shelve the tune for awhile as he prepared for the start of another tour, this time, to England. He tinkered with the song while on tour knowing he would need new material for a recording session later in the year. The constant schedule of touring caught up with Redding when he was diagnosed with polyps on his larynx. Told that they could lead to cancer, he weighed the diagnosis against the possibility of altering his voice. What convinced him to have the surgery was the fact the doctor told him not to sing a note or speak more than a word or two at a time for the two-month rest period giving him some much needed time off from the road. By late November or early December, Otis’ throat healed well enough to return to the studio in Memphis. From the airport, Otis excitedly called Steve Cropper and told him, “Crop, I’ve got a hit. I’m coming right over.” That song in progress was ready to be introduced. And then I watch ’em roll away again. As was the custom in their collaborations, Cropper pushed Redding for more about his experience. That produced the line about “roaming two thousand miles from home” as well as “can’t do what ten people tell me to.” The backing track was composed on the spot with Cropper on rhythm guitar, Booker T. Jones on piano, Duck Dunn on bass, Al Jackson on drums, Wayne Jackson on trumpet and Andrew Love on sax. 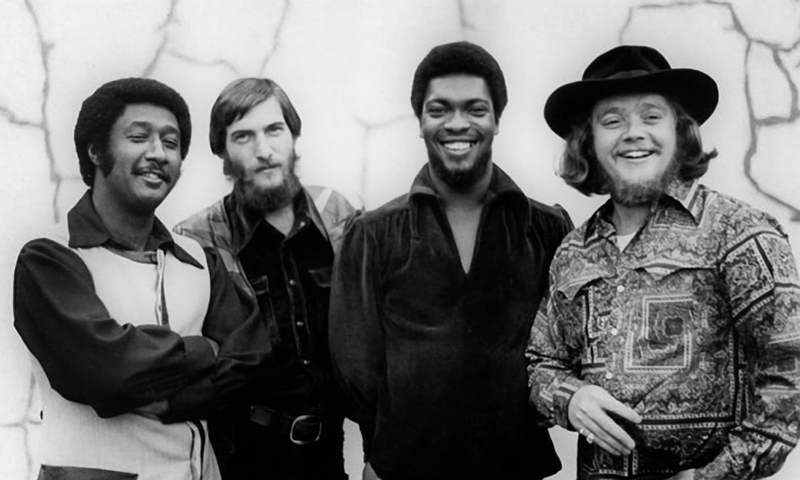 Booker T. And The MG's (L-R) Al Jackson, Steve Cropper, Booker T. Jones and Donald "Duck" Dunn in 1968. The song was recorded in three takes. On the first one, Otis improvised some noises at the front of the song that sounded like seagulls. Most everyone in the studio thought Otis was clowning around, as he had liked to do to relax everyone. He didn’t repeat the sounds the next two takes. After the third take, Otis and Steve knew they had the basic track. There was still work to be done. The first stop of the brief mini-tour was Nashville with his backup band, the Bar-Kays. Otis was proud of his new Beechcraft H18 plane, with his name written on the side. It seated eight and with ten members on the travel squad, two would have to fly commercial. Still, it meant no more of those long, overnight bus trips. The show at Vanderbilt University on Friday, the 8th went without a hitch. The next morning, they flew to Cleveland for an appearance on a local TV show and three concerts scheduled over the next two nights at a club called Leo’s Casino. The next stop was Madison, Wisconsin where the group was scheduled to play at the Factory nightclub near the University of Wisconsin. Just four miles from Truax Field in Madison, Fraser radioed for permission to land. Shortly thereafter, the plane crashed into Lake Monona. Bar-Kays member Ben Cauley, the accident's only survivor, was sleeping shortly before the accident. He woke just before impact to see bandmate Phalon Jones look out a window and exclaim, "Oh, no!" Cauley said the last thing he remembered before the crash was unbuckling his seat belt. He then found himself in frigid water, grasping a seat cushion to keep afloat. A non-swimmer, he was unable to rescue the others. The cause of the crash was never determined. (18) In addition to Redding, Fraser and Jones, other victims included Bar-Kays members Jimmy King (guitar), Ronnie Caldwell (organ), Carl Cunningham (drums) and Matthew Kelly. Even in the aftermath of a tragedy, there was business to be done. On Monday, according to Cropper, Atlantic Records executive Jerry Wexler called Jim Stewart demanding a new song. Cropper told Stewart he didn’t have anything ready. After Cropper was satisfied with the mix, he drove to the airport, went out on the tarmac and handed the finished master to the flight attendant. The tape was on its way to New York and upon arrival, handed to a rep for Atlantic Records, who handled distribution for Stax. Radio stations received promotional copies of the single prior to Christmas. Stax released the retail version on December 28, 1967. According to Billboard magazine, the song debuted on the pop chart on January 27, 1968 where it stayed for 16 weeks. (7) It hit the R&B chart a week later where it stayed for 15 weeks. (20) When it hit #1 on both charts on March 11, 1968, Otis finally received the gold record status that had eluded him. (Sittin’ On) The Dock Of The Bay won two Grammy Awards in 1968: Best R&B Song and Best Male Vocal. (21) It also sold more than four million copies worldwide. (22) In 1999, BMI named the song as the sixth-most performed song of the twentieth century, with about six million performances. (23) It was also ranked twenty-eighth on Rolling Stone's 500 Greatest Songs of All Time. It was the last song Redding ever recorded. Many who heard the unfinished version didn’t like or trust it. Steve Cropper, who added the finishing touches liked and believed in it. Otis was convinced it would be his first #1 hit and would plot his life and career on a new course. The sad irony is that he got what he wanted but not in the way anyone expected. Otis never heard the final mix of the song that years later made him a legacy. On December 7, 2017, CBS News produced this report on the 50th anniversary of the death of Otis Redding. Rhino Records produced the official video of (Sittin' On) The Dock Of The Bay. 1) Hansen, Liane, (Sittin’ On) The Dock Of The Bay, NPR Music, September 17, 2000, Link. 2) Ribowsky, Mark, Dreams To Remember: Otis Redding, Stax Records And The Transformation Of Southern Soul, 2015, Page 76. 3) CBS This Morning, Guitar legend recalls first time he heard Otis Redding sing: "The hairs stood up on my arm," December 9, 2017, Link. 4) Ribowsky, Mark, Pages 100-101. 5) Ribowsky, Mark, Page 181. 6) Ribowsky, Mark, Page 233. 7) Whitburn, Joel, Top Pop Singles 1955-2002, Pages 581-582. 8) Ribowsky, Mark, Page 238. 9) Myers, Marc. Anatomy of a Song: The Oral History of 45 Iconic Hits That Changed Rock, R&B and Pop, Page 108. 10) Ribowsky, Mark, Pages 258-259. 11) Ribowsky, Mark, Page 259. 12) Miller, Stuart, Rolling Stone, Inside Otis Redding's Final Masterpiece '(Sittin' on) the Dock of the Bay, December 10, 2017. Link. 13) Ribowsky, Mark, Page 261. 14) Hutchinson, Lydia, Performing Songwriter, Otis Redding’s (Sittin’ On) The Dock Of The Bay, September 9, 2012. Link. 15) Ribowsky, Mark, Page 260. 16) Myers, Marc, Page 110. 17) Ribowsky, Mark, Page 263. 18) Wikipedia, Otis Redding, Link. 20) Whitburn, Joel, Top R&B Singles 1942-1999, Page 368. 22) Honors, Otis Redding Official Website.